Abbas's accusations of Israeli 'war crimes' in Gaza have hurt - not helped - the campaign for 'Palestinian independence,' FM says. Mahmoud Abbas's accusations of Israeli 'war crimes' and 'genocide' in Gaza have finally pushed the Palestinian Arab independence bid off the international community's agenda, Foreign Minister Avigdor Liberman (Yisrael Beytenu) stated Sunday. "Abbas has proven, once again, that he is not a partner for anything; he has managed to exhaust them all," Liberman fumed, in a morning interview with IDF Radio. The accusations are so extreme, he noted, that the "Palestinian issue" has finally become a secondary - rather than primary - issue for the international community. 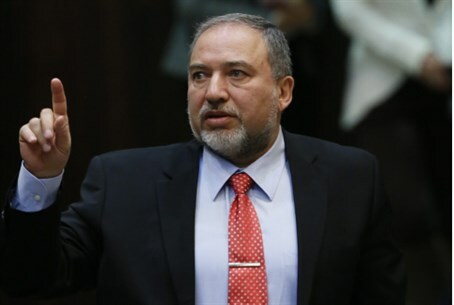 "I have been following this year's UN General Assembly and I can never remember the Palestinian issue being pushed so far down the agenda," Liberman reflected. "They're talking here about everything - Ebola and Iraq, Islamic State and Ukraine; the Palestinian issue almost doesn't exist." "Even the Arab world is sick of Abbas," he continued, noting that a peace deal to establish a Palestinian state would require "someone who is reliable, someone who can deliver the goods." Abbas's speech has garnered equally strong reactions from the US - which called the tirade "offensive" - and from Israeli MKs across the political spectrum. Both Liberman and Prime Minister Binyamin Netanyahu vowed Saturday to defend Israel's position to the UN and Washington before their US visits Sunday. One of the strongest reactions also came from Defense Minister Moshe Ya'alon, who - like Liberman - noted that the speech broke any lingering hopes of working with Abbas as a "peace partner." Abbas, according to Ya'alon, has "never really come to terms with [Israel's] existence" and bases his campaigns on claims "detached from reality." "Through his speech at the UN, Mahmoud Abbas proves for the umpteenth time: this is not a leader who wants peace and the advancement of his people's lives, but a person who distributes lies, incitement, and hate speech against Israel," Ya'alon stated Saturday. "Mahmoud Abbas is not a man of peace, and is not really interested in an agreement with Israel, which means recognition of the Jewish national homeland."